Why Do Some Schools Don’t Allow Children To Use Wikipedia? Most of them don’t know that schools won’t allow there students to have information from Wikipedia. Let us see what are the reasons behind it. Most of the teachers will think that the information in Wikipedia can be edited by any person so that people with zero knowledge can also edit the topic and miss lead the children with inaccurate information. This is the major reason which was given by most of the teachers. Wikipedia is the tertiary level encyclopedia. In schools they supposed to verify the information from any source is true. The information edited reviewed and edited and corrected whenever it is published. The same process is followed in Wikipedia except it happens in public view. 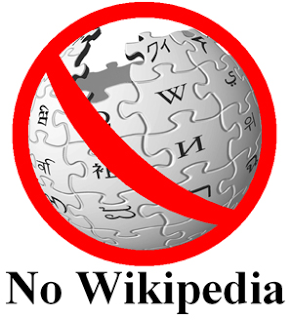 For every Wikipedia article there are three to four or even more reputed and trustworthy sites are there. So, finally it is just a hallucination by teachers, Wikipedia must be the second source for the students to refer, first priority is for books and then the third priority is to be given to the teachers.